In 2012, we raised the bar for device protection with TAKTIK Extreme. We believed that consumers aspired to better quality accessories for their valuable devices than what currently existed on the market, and we were right. Since then, TAKTIK has successfully protected thousands of iPhones for those who rely on their gear—people who serve in our military, police, firefighters, skydivers. Users who won’t settle and whose hobbies, passions, jobs or lives depend on having the best gear available. We care deeply about making products of the highest quality possible and are grateful to have an incredible community of uncompromising users to help inform our products. Now with the launch of the new iPhone 6 and 6 Plus, we’ve raised the bar again. 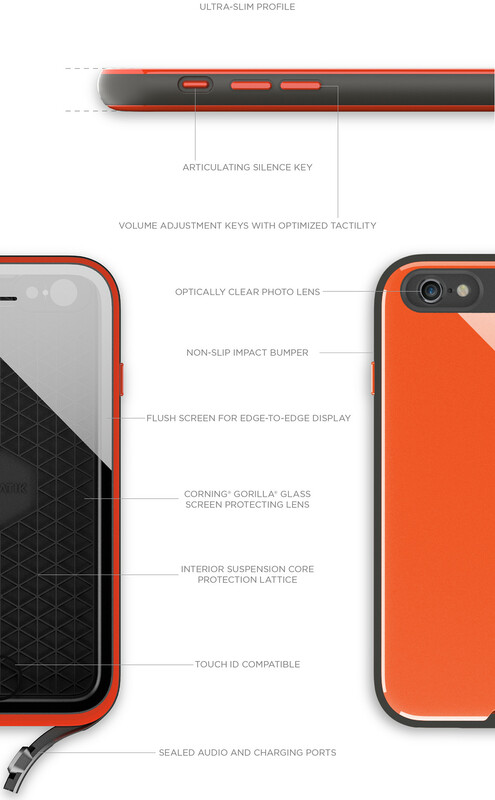 Introducing TAKTIK 360 and AQUATIK, our most advance device protection ever. 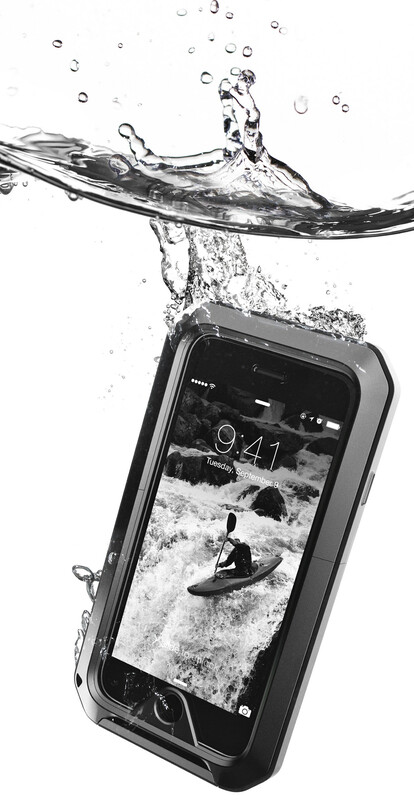 Creating a fully submersible waterproof case that doesn’t compromise the design and use of the iPhone is no small feat. We’ve designed airtight compression closure systems for both TAKTIK 360 + AQUATIK that protect from water and dust to an IEC rating of IP68. That means with all ports and membranes closed, your iPhone will stay safe and dry for up to one-hour in water as deep as two meters. Stay connected while you take a worry-free swim in the pool or venture down the river in your kayak with confidence. 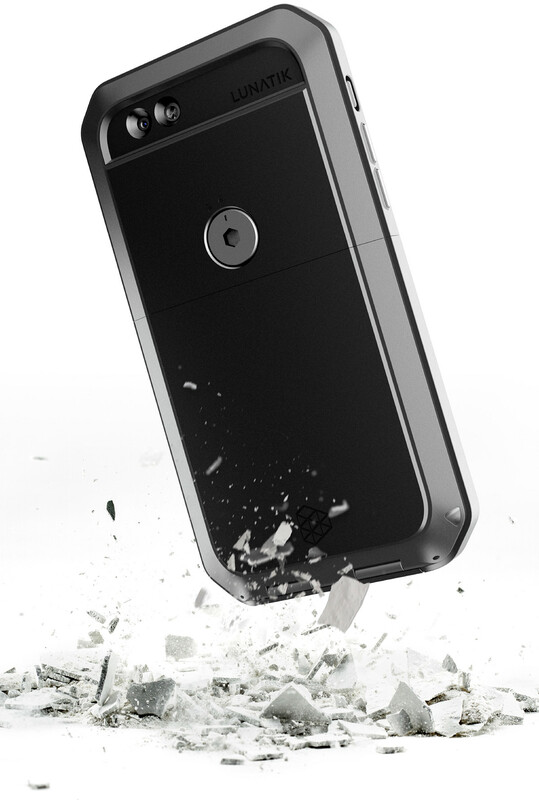 Our best-selling TAKTIK Extreme has saved thousands of phones from the most extreme impacts and drops. Our fans have proudly shared their wild survival stories—epic journeys, 3000 ft. skydive drops, 50mph tumbles off of motorcycles, cases even getting run over by cars and phones making it out unscathed. Each time reminding us why obsessing over the details really matters. TAKTIK 360 + AQUATIK are designed to provide fearless drop, shock and impact protection that exceeds military standards (MIL-STD-810G). Most of all, you can go anywhere life takes you and not have to worry about whether your phone will survive your next epic adventure. Let’s face it. Every now and again, sh*t happens. The new iPhone is sleeker and slimmer than ever, but with its smooth rounded corners and larger screen, it is highly susceptible to accidental slips and drops. Whether your phone falls out of your pocket into uncharted toilet bowl territory or down the side of a mountain, TAKTIK 360 + AQUATIK are designed to protect from life’s unexpected moments. 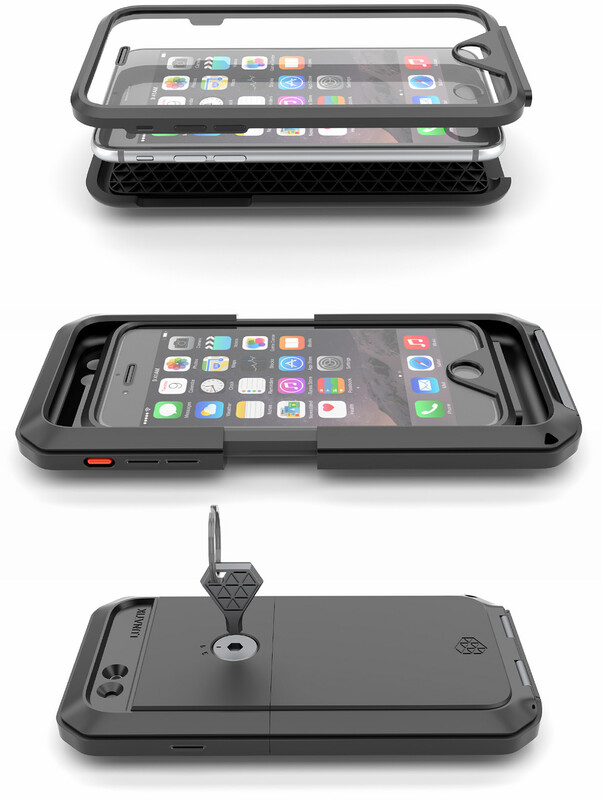 TAKTIK 360 is the evolution of our most protective case, TAKTIK Extreme. While maintaining our tough standards for impact and drop protection, TAKTIK 360 provides enhanced protection from water and dust (IP68). We listened to our customers and made installation easier with our patent pending compression closure system and single latch closure. The Corning® Gorilla® Glass lens adds an extra layer of screen protection without compromising a fluid touchscreen experience. Fully prepared for life’s unexpected adventures, TAKTIK 360 is the ultimate in rugged protection. 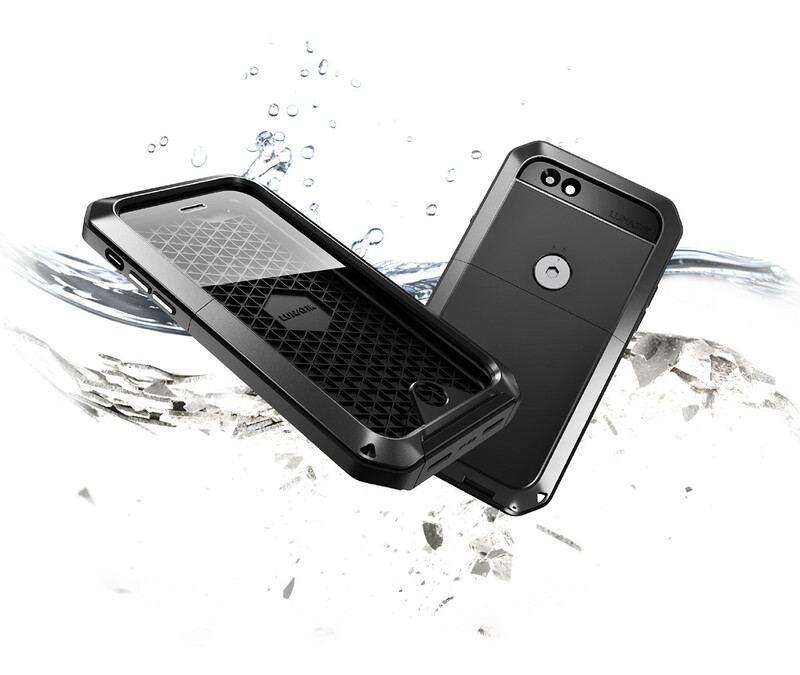 Engineered to go wherever life takes you, AQUATIK is sleek, refined, and fully water and dust-proof. The low profile, easy-to-pocket, snap-in design compliments the slim form factor of the iPhone 6. AQUATIK achieves an advanced level of protection through case and membrane seals capable of keeping out water and dust (IP68). It’s our thinnest, ultra protective case yet. 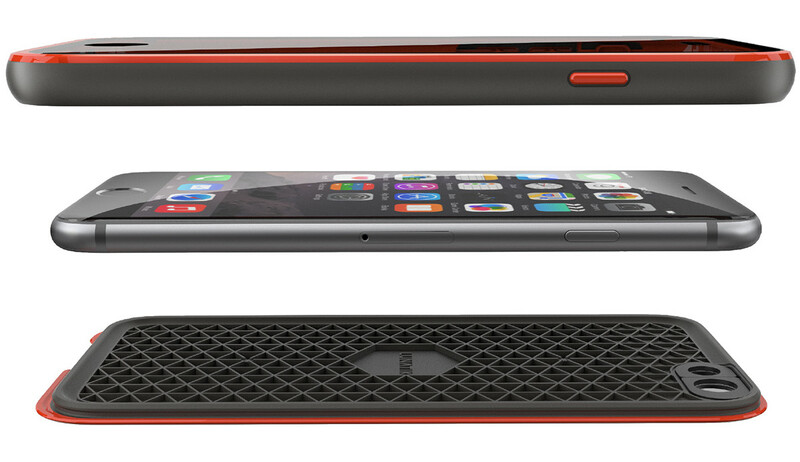 In 2012, LUNATIK raised the bar for device protection with TAKTIK Extreme. We believed that consumers aspired to better quality accessories for their valuable devices than what currently existed on the market, and we were right. Now with the launch of the new iPhone 6 and 6 Plus, we’ve raised the bar again. 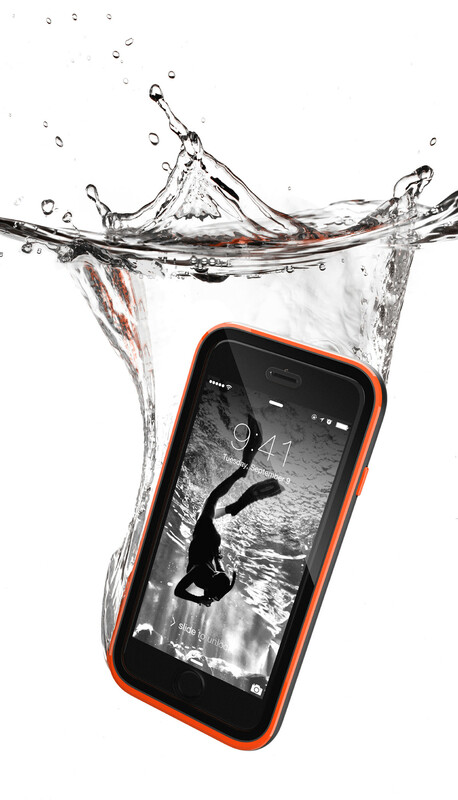 Introducing TAKTIK 360 and AQUATIK, our most advance device protection ever.